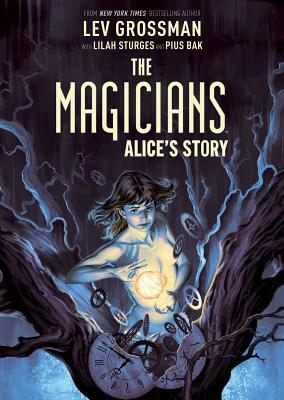 THE MAGICIANS: ALICE’S STORY is an all new chapter set in the world of The Magicians trilogy of novels by New York Times bestselling author Lev Grossman that retells the events of the first novel through fan-favorite character Alice Quinn. Alice Quinn is manifestly brilliant, and she’s always known that magic is real. During her years at Brakebills College for Magical Pedagogy, she rises to the top of her class, falls in love with Quentin Coldwater, and witnesses a horrifically magical creature invade their dimension. It’s not soon after graduation when Alice, Quentin, and their friends set their sights on the idyllic setting of Fillory—a place thought to only live in the pages of their favorite children’s books—where magic flows like rivers . . . But in this magical realm nothing is what it seems and something darker lies behind the spellbinding facade. It is in the darkness where Alice will discover her true calling and her life, and those friends, forever changed. Acclaimed novelist Lev Grossman joins New York Times bestselling writer Lilah Sturges (Jack of Fables), and breakout artist Pius Bak for a new chapter in the smash hit trilogy The Magicians.